As a law abiding citizen, you have the power to contribute to the improvement of society by paying taxes. But before you can file your taxes with the BIR, you must first obtain a Tax Identification Number (TIN). Every person will use only one TIN for their entire lives. The purpose of the TIN is for proper taxpayer identification, and is required on all forms used for filing returns such as income tax returns, VAT returns, percentage tax return and the like. Statements and documents pertaining to the BIR will also indicate the TIN. Using more than one TIN is a criminal offense that is punishable by a fine and imprisonment. A TIN card can also be used as proof of identity and may even be required by private or government entities, as is the case when applying for a driver’s license with the LTO. Issuance of a TIN is also free of charge. Who Should Have a TIN? Who Can Apply for a TIN Online (E-TIN)? Note: Visit the BIR Portal [http://www.bir.gov.ph/index.php/registration-requirements/primary-registration/application-for-tin.html] for a complete listing of requirements. 2. Pay the P500 Annual Registration Fee at the Authorized Agent Banks of the RDO. 4. The RDO will issue the Certificate of Registration (Form 2303). Deadline: All individuals engaged in trade or business shall accomplish and file the application before the commencement of their business operation. 1. 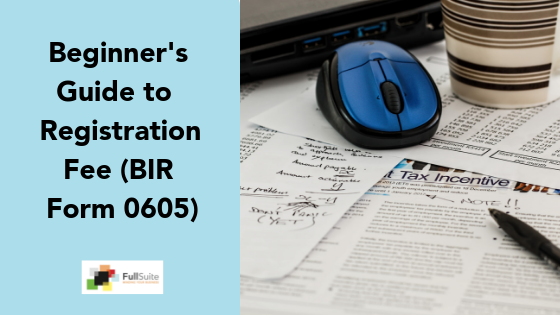 Fill out BIR Form 1902 and submit this with the required attachments to the employer. 2. The employer continue filling out the appropriate parts of the form. 3. Submit the BIR Form 1902 to either of these two RDOs: those with jurisdiction over the applicant’s place of residence or to the RDO having jurisdiction over the employer’s business address. 4. The registrant-employee can ask the TSS of the RDO as to when the TIN will be available for use. 1. Fill out BIR Form 1903 submit this with the required attachments to the Revenue District Office having jurisdiction over the business establishment’s registered address. 2. Pay the P500 Annual Registration Fee to the Authorized Agent Banks of the RDO. 3. Pay the P15.00 Certification Fee and P 15.00 Documentary Stamp Tax, attached to Form 2303 (Certificate of Registration). 4. The RDO shall issue the Certificate of Registration (Form 2303). 5. Taxpayer must pay the Documentary Stamp Tax on the Articles of Incorporation as prescribed under Section 175 of the NIRC, on the 5th of the month following the date of issuance of said article (per RR 4-2000). Deadline: Corporations/partnerships/joint ventures shall accomplish and file the application before the commencement of the business operation. For the complete steps and procedures in obtaining TIN, refer to the BIR Portal (for taxpayers such as non-residents, trusts, estates and others). Hello, I would like to ask a concern regarding my eTIN number. This TIN was actually processed by the first BPO company that I applied for, however, even before I was about to officially start my work, I decided to bak- out. Now, my question is , what will be the possible effects of my backing- out from the company to my TIN number? I am planning to work again now, so would just like to know whether I should apply again for a new TIN number or just use the one that the company has provided me. Hi Cara! Under the law, any person should only have one TIN. My questions : what should I do to get another card since been 3 to 4 years now that I am not employed? Would I be penalized? Is there a way to convert my employed TIN to unemployed? Or student TIN. I am currently employed and alreayd registered with BIR for purely compensation tax. How do I register to shift from purely compensation to Mixed income (employment + practice of profession)? What BIR forms do I have to submit? I’m currently employed and want to start my own business. Do I apply 1901 or update my 1902? How will I take this transition from employee to mixed income earner? I hope for a swift response. Thanks! Hi can you help what is my rdo code? Been callinv the hotline but pgone keeps on ringing. We’re not the BIR, sorry. Are you asking as a business or employee? If as a business, it should be in your BIR COR. If as an employee, it should be the same as your latest employer. Hi, can someone help me. I already have my tin number from my employer, I just want to get my tin ID card. My question is, where should I get my Tin ID card? My employers office is at Makati and I am living at Marikina. Should I get my ID to BIR makati or BIR Markina? Sorry, I am just confused. Thanks! Good day paano po ako maka kuha ng BIR TIN NUMBER Requirements kasi sa company kasali sa mga requirements ko sa company paano po ako maka kuha nito? please help me. Hi,ask ko lng po..kinukunan po kc ko ng payroll officer nmin ng tin,kso marami dw ako kapangalan so hindi nya ko nakunan ng tin kc need dw po pumunta personally..pero pano po yun,kc may problema birth certificate ko,male yung gender ko at joey nakalagay na name ko instead of Joy..Hope matululungan nyo po ako..Thanks a lot Godbless! i have a non taxable tin or the one time TIN (1904) before i got my first job. the problem is, after i left the company, they didnt update my TIN. im now looking for a new job, shud my new employer the one’s updating it then? Define update? There are at least 4 different types of updates i can think of right now regarding TIN. hello, gusto ko po kasi itransfer yung tin ko to different branch, paano po kaya yun? is it possible? a reply would be much appreciated. thank you! Does it include a valid reason? Check BIR form 1905. You should see there a transfer of address. In the process of estate settlement of a property still in the name of deceased individual to transfer to (1) survivor and (3) deceased heirs where death certificates cannot be obtained. 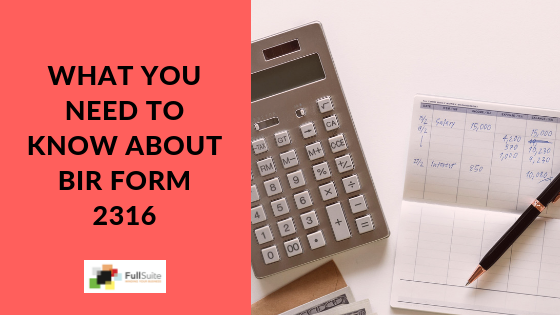 Any option to BIR form 1904 filing? Hi po, I am just confused as to when to start filing for my tax. My business was registered this Feb. 1, 2017 and I don’t know when to pay. When I checked the COR it only said that I should pay a percentage tax 20th day of the following month. Does that mean that I should pay on March 20? or this Feb 20? All your answers will be solved by what “taxes” are included in your BIR 2303. If other taxes are there like withholding tax on compensation, then that’s due every 10th day of the following month. The most important thing to remember here is this: regardless of no operation, no activity, no sales- if you do not file the returns needed, you will definitely incur penalties and charges in the future. Hello, I would like to ask if i can get a TIN or 1902 even if im not employed. The agency requires Tin or 1902. and i dont know if i can get tin or 1902. HI. I AM A NEWLY HIRED EMPLOYEE OF A GOVT AGENCY. AM I THE ONE INCHARGE OF OBTAINING MY TIN NUMBER OR THIS IS THE JOB OF MY EMPLOYER? Hi, i already have a tin under eo 98. Will that be tge same tin to use when i became employed? Hi po ask ko lng how to get the date of issuance of my TIN number 150863308? You may call the BIR hotline to verify this. they closed it and as i check at rdo i will have a clearance first before i can transfer to my employer rdo.the business is still open at the bir until now from 2012.i cant contact my aunt now. Hi, I WOULD LIKE TO ASK A CONCERN REGARDING MY TIN NUMBER. THIS TIN WAS ACTUALLY PROCESSED BY THE FIRST COMPANY THAT I APPLIED FOR, AND I WAS ABOUT TO OFFICIALLY START MY WORK BUT I DECIDED TO BACK- OUT. NOW, MY QUESTION IS , WHAT WILL BE THE POSSIBLE EFFECTS OF MY BACKING- OUT FROM THE COMPANY TO MY TIN NUMBER, ALSO HOW DO I GET A COPY OF MY TIN BECAUSE THE COMPANY DIDN’T GAVE IT TO ME AND REALLY DON’T KNOW WHAT MY TIN IS?. I AM PLANNING TO WORK AGAIN NOW,. ????? Hi. I would like to ask if what would I do if my TIN was registered as single-proprietor but I would like to transfer it to employed status. Is that possible? Thank you. Yes. You need to use a 1905 to change the status. hi. asko ko lang kung paano amng gagawinko.. kc nakaregister ako sa bussiness na tin.. need ko daw magbayad ng 500 e triny ko lang namn kc need ko ng tin e di nmn ako makaapply online tin ng employed..pede ko ba magamit ang tin na pangbussiness sa employed?? I would like to ask if I can apply for Tin number with absence of NSO birth certificate? My papers are on process due to clerical error on my gender and it’s very troublesome. I’m an employee of a commercial building and I don’t have any contribution due to this. Please reply. Thank you and more power. I believe it is possible. What they need is a valid identification . Most people obly have that. So if you have a passport or a driver’s license, that might be possible. I belong to freelance workers. (photographer and video editor) Can I apply on E-Tin ? What do you mean? Do you already have a TIN? Were you employed before? Magkaiba po ak TIN ng business sa tao. Hindi pwede gamitin yon. Hi. Can I use school id and a birth certificate as a requirements for applying my TIN? NSO birth certificate is the one usually asked for. pwede po ba mgpa verify ng tin number dito? Hi,please help me.my daughters ages 15 and 12,need TIN # because my dad gave them lot.what do I apply for them? Thank you very much.I really appreciate your effort to help us. Hi. I would like to know how will the process be if i am currently employed and will be opening a sole prop business- will i still use my TIN issued as employed or will it be changed once i applied for new TIN as mixed earner? Second my TIN is registered in Makati and my business will operate in cavite. How will it work- where should i file for my TIN as mixed earner? And can you confirm that its best to apply this personally in bir rdo instead of ereg? First is determine what you want – sole prop vs individual freelancer is different. We have articles about those here. TIN will always be the same. Only the status will change. Good Day… I would like to clarify my TIN.. Before, i have a small business in our town, then i was required to registered to the BIR, and I got my Business TIN.. Now my business was closed and now im an employee.. Is it possible that my business TIN can still be used when now im an employee? Thank You..
GOOD DAY!I WOULD LIKE TO ASK , HOW TO CHANGE MY EMPLOYER USER NAME OR HOW TO CANCEL MY EMPLOYER USER NAME? THERE SOME CLERICAL ERRORS WITH MY APPLICATION, I WOULD LIKE TO CORRECT. Best to go to the RDO where you’re registered. Just want to ask what should do if my present employer got me new TIN since they have misspelled my middle name? I have notice the issue when they provided our ITR. Should I personally go to BIR to correct this or the company should fix this issue. Please advise. Call the BIR hotline to validate. Hi. I would like to ask po paanu po i-aapply nang e-tin ung foreign employee kung wala siyang middle initial and wala syang second name? required fields po sa online ung middle initial. Hi. I got my TIN today because it was one of the requirements for my savings account application. Since I’m a student and i dont own any businesses or receive wages, do I get taxed ? 🙁 i really appreciate your response. TY. Sorry to hear that. Call the BIR hotline to clarify. It could be that she registered online as a professional. That means she is her own business. Best to call the BIR and ask for her status – i.e. Purely compensation, mixed income, professional. She might have fallen under the latter two. Unfortunately she registered under a business(single proprietor) category as what was indicated in the printed tin form. However, I was wondering if it is possible to have it still registered when she didn’t submit any documents to further the process of the said application. The staff told us that she is subjected to pay for the vat penalties or whatsoever. In my opinion, I was wondering how they were possibly able to do this when she didn’t submit any documents about the said business. My question is, if you may help me understand as I am not sure if I could trust the people at the bir, is she liable for such penalties or is there a way to go around this innocent mistake of hers. According to the paper it was registered when she was only 23 years old back then. As much as we want to help, when it comes to that, the BIR has the final say. That said, the same thing happened to one of our customers. So she also had to pay the penalties. My suggestion, go to the BIR and talk to someone there. Try going in first thing in the morning and with a positive attitude. The worst thing that can happen is you pay the missing returns. And do it as soon as you can because the longer you dont take action, the more penalty you will incur. As for reversing this, file a 1905 to change the status from business to purely compensation earner (if employee). Do note that we have never experienced that one, i.e. Going back from business to purely compensation. Try also calling the BIR hotline. That’s usually the national office. Our experience talking to them is quite nice and helpful. Ano.po ang dapat kong gawin kasi nagkaroon po ng 2 existing tin number under my name??? Cancell one TIN. Preferably yun latest and/or yun walang record. Prepare a letter for cancellation. State what happened, etc. Hi, is it possible for me to have a Full Time job (which I have right now) and then at the same time open up a business of my own (Sole Prop) and use my existing TIN when registering my Business in BIR? Also my business will be in Marikina which is where I lived and then my Full Time Job the companies RDO is in Makati which is my current RDO as well after I got hired. Hoping to get some tips and advice. You’ll become a “mixed income earner”. You’re records will be transferred to your home RDO though. Then, what happens is once you are registered as a sole prop, you have to start filing your own returns. And since you also have a fulltime work, you will have to reconcile that at the end of the year during filing of income tax. As much as possible I don’t want my company to know about my own business as it is also the same business as theirs. I’m working as a Web Developer/Programmer fulltime and my own business is also a Software Company service, I’ve already done with the DTI, Baranggay and Mayors permit my only issue is the BIR. I just don’t want them to know that I have the same business as I’m planning to leave the company in 2years to focus on my personal business. Hi po 🙂 Need ko po sana ng advice. Sa dati ko po kasing company na pinagtatrabahuhan, inapply po nila kami ng tin number kaso nakapending daw po. Is there any way na maverify ko po o malaman yung status nung application ng tin number ko po since hindi na po ako under sa company na nag-apply for me ng tin number ko noon? Please help po. Badly needed my tin number po kase. Hi, I just want to know how to verify my TIN kc yung previous employer ko d rin nila alam but I know that I do have it kc nakuha ko yung final pay ko and income tax return ko and my problem is iba n yung company ko and I want to know if pwede bang mag pagawa nlng ulit ako ng bago will it be counted against me? How I will know if I already have a tin number? You can go to any BIR office (Taxpayer’s general services section) to find out if you have an existing TIN and if yes, what your number is. You just need to bring a valid government ID as this is required. Applying for your TIN is free. Though you may be asked by the BIR about the purpose of your application. Your first TIN Card is also free. Hello! I already acquired a TIN under EO 98 Form 1904 for opening bank account (No work yet) Now that I have work I just want to ask if what form should i fill-up ? Do I need to update my records? 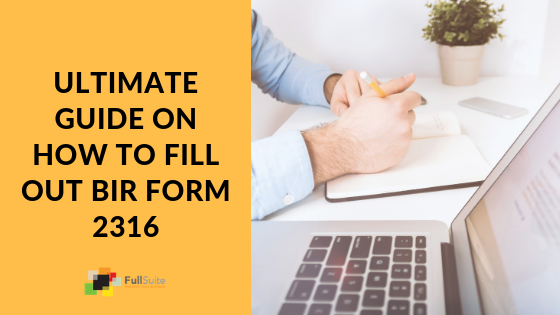 Should I fill-up Form 1905? Thanks. You are only assigned one TIN in your lifetime and it is illegal to secure an additional one. You should provide your TIN to your new employer and they will be the one responsible for updating the records.